F with mostly blue color! Today my F turned 5. Oh, how I love this adventurous boy of ours. He loves to have fun. 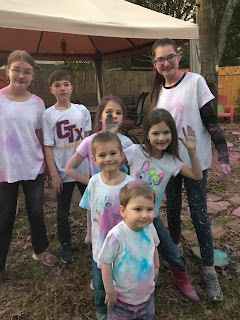 To celebrate our family had a Just Add Color Party and had a blast. Me when I turned 41! Instead of my birthday back in October where the kids just colored me, our whole family got colored for F's 5th! 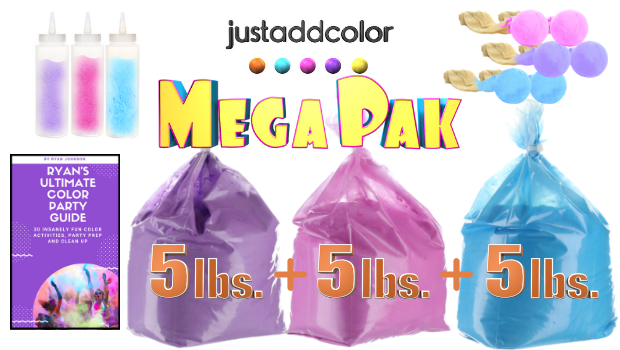 We were sent the Just Add Color Mega Pak! 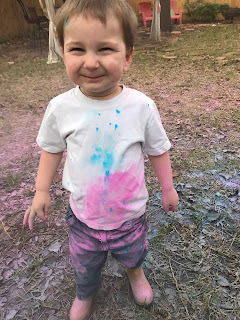 This package is pretty complete and includes 5 lbs of purple color, 5 lbs of pink color, 5 lbs of blue color, 3 powder paintbrushes, 6 color bonkers and 2 color blasters. It also includes a color party guide which has lots of information and ideas to help you make your party a complete success! 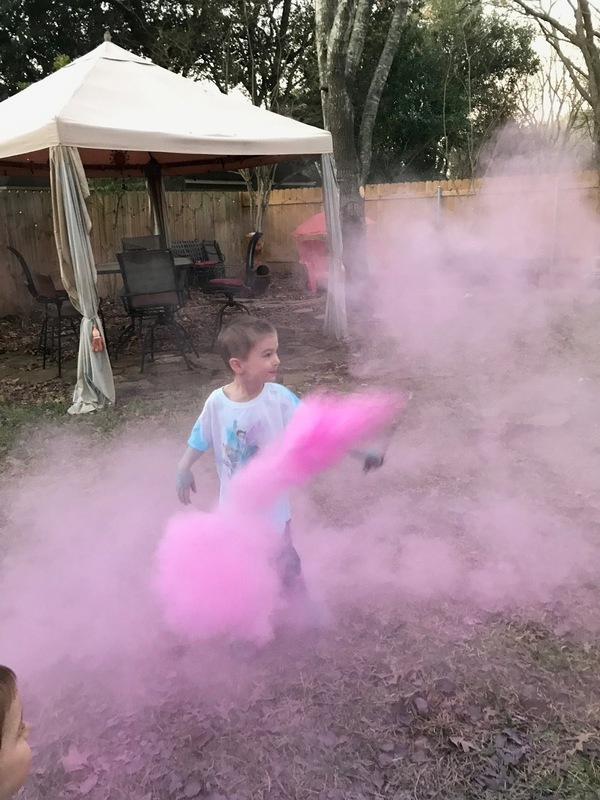 F getting bombed with pink! There are so many thinks your can do with your color - you can have color dances, color crafts, color photos, colorful powder games - you get the idea. 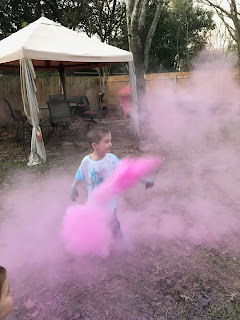 There are lots of ways to incorporate color and have a blast. 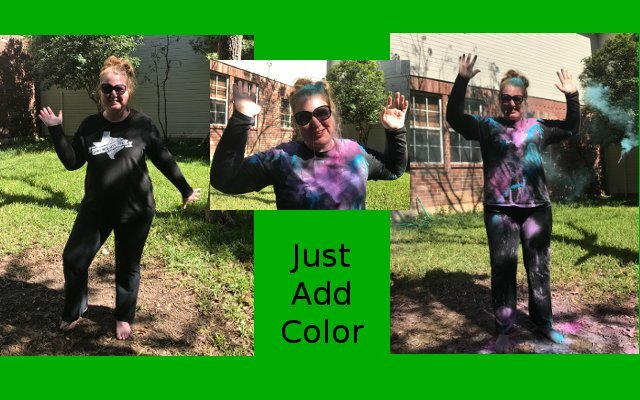 And you can just add color for birthday parties, half-birthday parties, church parties, team banquets, graduation parties, gender reveal parties and so much more. 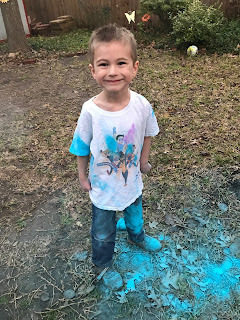 We had a ton of fun celebrating F and I have a feeling he is going to remember this day! Check out the super fun video below to see more! 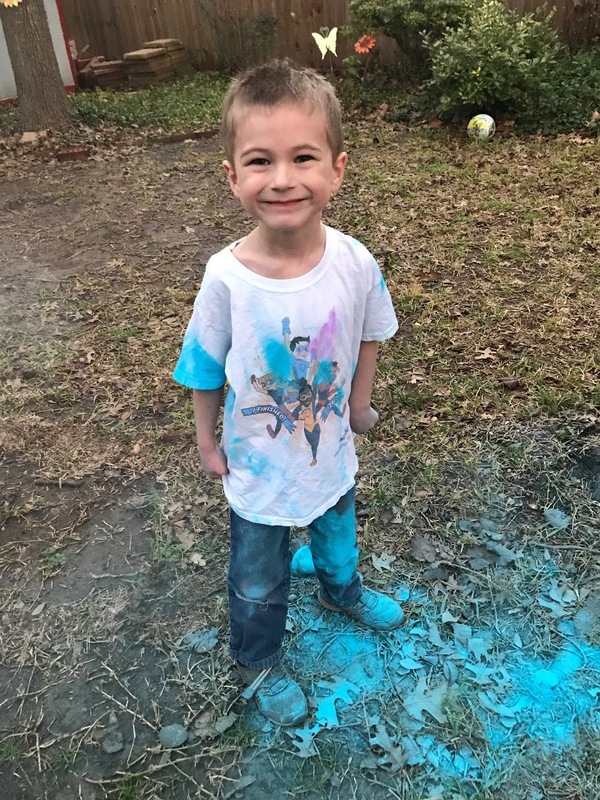 Disclosure: Thanks so much to USFamilyGuide and Just Add Color for allowing me to participate in this campaign. I was provided with a Just Add Color Mega Pak for review. All opinions are my own.